Kate Stitham found out her morning yoga class at Niraj Yoga in Portland has been cancelled because the teacher was snowed in. 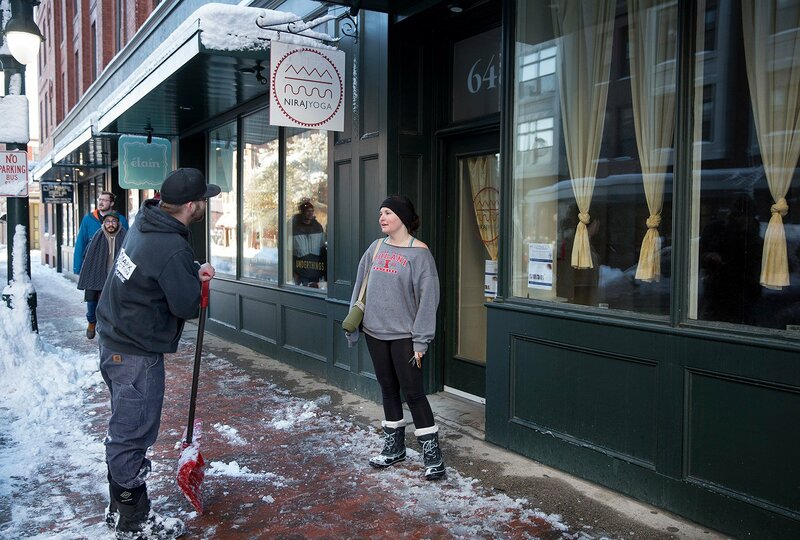 Patrick Landers' wife owns the yoga studio, and he was shoveling out in front of the building so he could let customers know, and apologize in person. "We try so hard not to cancel" he said.